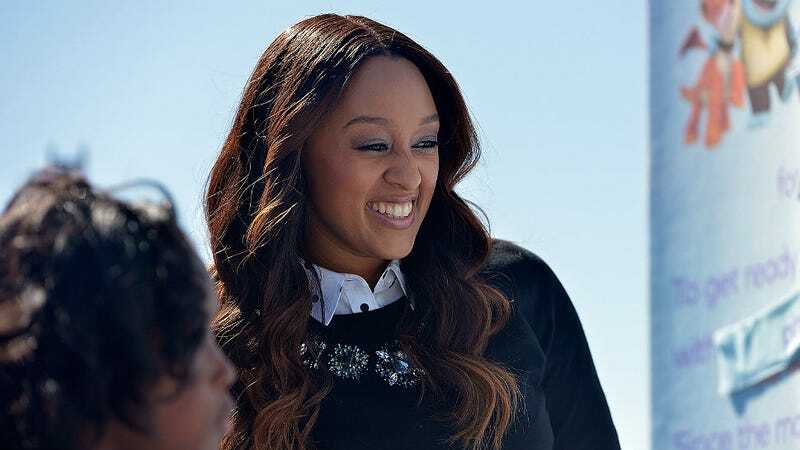 Haylie Duff and Debi Mazar aren’t the only actresses joining the Cooking Channel, Tia Mowry is debuting her own show later this month. Tia Mowry at Home will follow The Game star, her husband Cory Hardrict and their cute son Cree probably preparing and eating some good, non-Hollywood foods. But ... will this show be more reality show than recipe? Is a Cooking Channel show the new segue for actors between big gigs? As a devoted Food Network and Cooking Channel viewer I see Mazar’s husband is a legitimate cook but Duff’s show seemed to come out of nowhere (like her cookbook) and now Mowry has a cooking show too. I loved Mowry and her sister The Real co-host Tamera Mowry-Housley on their Style Network reality show Tia & Tamera so I’ll watch but: I smell a trend. And this trend may end with Hollywood flooding my food shows and cooks complaining that, I don’t know, Taraji P. Henson is taking their jobs.